Give your bath a fresh new look with one of these hot decorating trends. The bathroom is easy to makeover – it’s the smallest room in the house and the fixtures are fixed so all you have to change out are the accessories. A fun and do-able project! Traditional is back! The new contemporary is a tried-and-true décor that achieves back-to-basics comfort in a sophisticated style. To get the look, decorate with classic materials like ceramic, leather, and bronze. 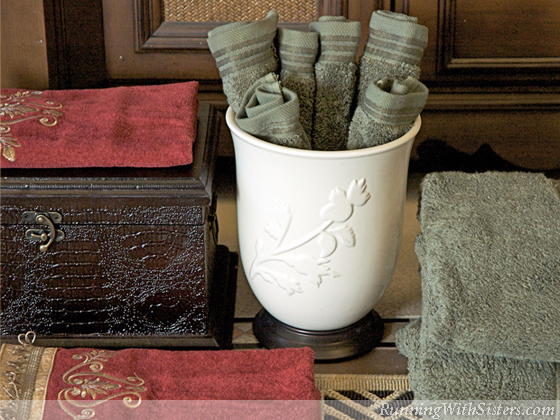 Mix them with rich colors like burgundy and spruce on a backdrop of favorite neutrals like ivory and walnut. The global trend evolves with authentic details that feel more like treasures than trinkets. A handmade straw basket and strands of colorful glass beads are down-to-earth touches. Seek out everyday objects like cast iron cowbells that are both rustic and refined. The days of stark, cold bathrooms are over. 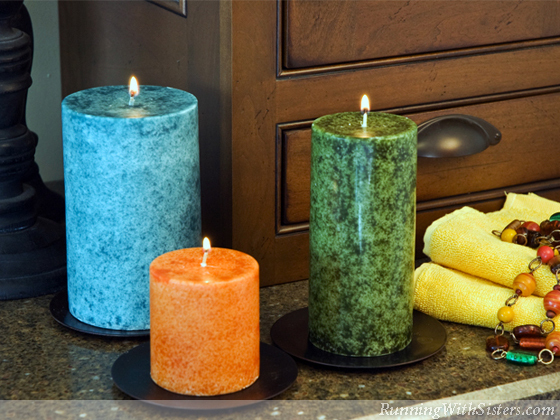 To create instant warmth, choose the gem tones of the elements: ocean blues, lush greens, and sunset oranges. Blend your earthy palette with smooth dark wood and the mottled textures of hand-dipped candles for a room that is both comforting and luxurious, and miles away from ultra-modern. This year, eco-friendly is eco-pretty! The latest take on green design not only embraces Mother Earth, but also celebrates her beauty. 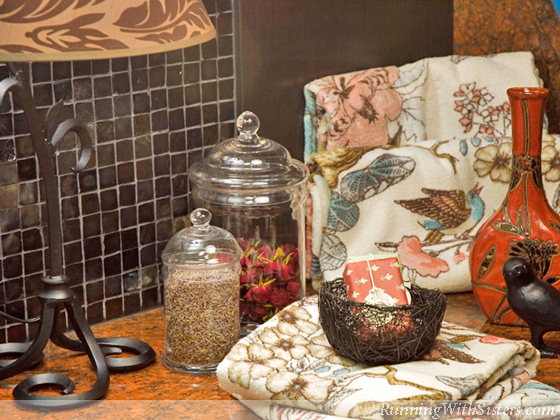 To embrace this fresh style, start with organic cotton towels featuring birds and botanicals. 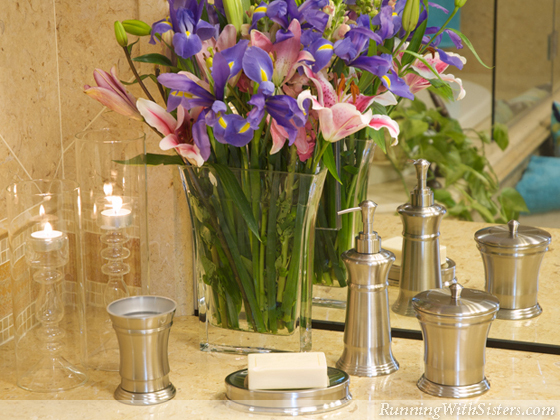 Fill glass canisters with dried flowers, such as lavender and rosebuds. Then skip the overhead light and illuminate the room with an elegant, energy-saving table lamp. Brushed nickel fixtures add a clean, reflective quality to the bath without the chill of polished chrome. If your budget doesn’t call for new faucets, you can still get the same effect with nickel accessories. For even more sparkle, bring in unique glass accents like a flared, rectangular vase and silhouetted candlesticks. Turquoise is the color of the year! 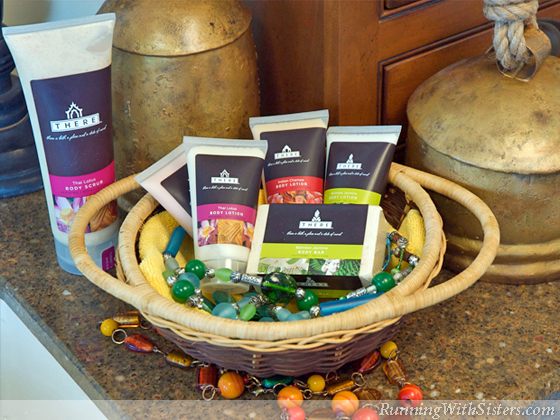 This calming hue takes you to the warm waters of a tropical paradise, making it a natural for the bath. To get a taste of turquoise, treat your loo like your wardrobe and accessorize. 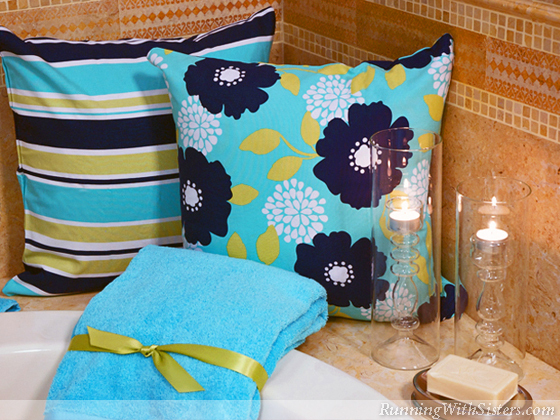 Splash this vibrant blue here and there with sumptuous towels and throw pillows. Then fill up your tub and escape in this gorgeous hue.